Here, Viola Davis discusses the importance of giving an authentic performance based on what is taking place in the “now”, as opposed to giving a canned, overly rehearsed performance that is completely oblivious to any new stimuli. 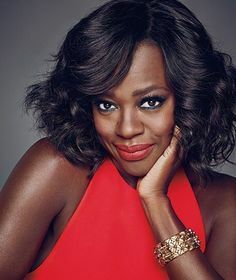 Viola Davis is a three-time Academy Award nominated actress, for roles like Mrs. Miller in Doubt (2008), housemaid Aibileen Clark in The Help (2011), and as Rose Lee Maxson in the 2016 film version of Fences, which earned her her first Academy Award for Best Supporting Actress. A graduate of the prestigious Julliard School, Davis has also won Emmy and Tony Awards which, along with winning the Academy Award, makes her the first African-American to win all three.